One of my favorite publications—historical or otherwise—is the quarterly magazine of Chadron, Nebraska’s Museum of the Fur Trade. A yearly membership at the museum is $15, and it’s worth every penny, even if, like me, you live two thousand miles away from Chadron, Nebraska. It’s worth it because you get this nifty little magazine. 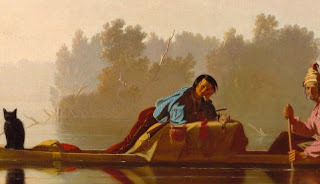 The journal is sixteen pages of totally cool information about the artifacts of the fur trade and daily life on the Plains before the twentieth century. It’s always stuff you had never even thought to wonder about. The Fall 2011 issue, for example, has an article by James Hanson on the use of “Circassian Tobacco” in nineteenth-century Russian America. This was apparently an important trade good, exceedingly popular with the Alaskan natives. Turns out it was the same form of tobacco originally cultivated in eastern America. 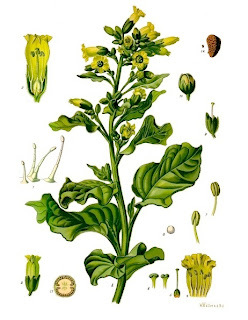 That species, Nicotiana rustica, had been replaced in Virginia by 1620 by a milder South American species, but when eastern Americans abandoned it, Nicotiana rustica traveled to Asia and Europe where its biting flavor remained popular. The article follows Nicotiana rustica through Ukraine and back to Russian America. Five pages of text and photographs and you have learned something you never even thought to wonder about. But the big news for me—and for anyone who teaches the history of the American West—in the Fall 2011 issue was a wonderful article by W. Raymond Wood exploring the enormous importance of cats on the frontier. Apparently, the brown rat, also known as the Norway rat, came to the American West with Euroamericans and quickly infested local Indian communities and the frontier forts in their vicinities. In the 1830s, a man at one fort recorded the numbers of rats he trapped: in February 1836 alone he got 89. Mind you, these are just the ones he caught. In the West, rats and the native field mice decimated stored food. One military leader complained that every day the rats ate five bushels of his fort’s corn supply. Even worse, perhaps, their tunnels undermined any man-made structure, from Mandan earth lodges to military forts. Such a destructive rodent infestation put a premium on cats. Quite literally, for a settler a cat could make the difference between a successful career on the frontier and bankruptcy, because only a cat could protect expensive food supplies. Cats became among the most valued of frontier possessions, as Laura Ingalls Wilder suggested when she recounted the aftermath of a rodent chewing off her father’s hair while he slept. She entitled a chapter of Little Town on the Prairie “The Necessary Cat,” and told how her father paid a small fortune for a newborn kitten to beat back the advancing mice. Thanks to Wood’s article, that passage from Wilder fits into a larger squirming, squeaking story. Now, too, George Caleb Bingham’s famous painting “Fur Traders Descending the Missouri” (1845) makes a great deal more sense . . . and it’s clear that the animal hunched on the bow is a cat, not, as some would have it, a fox. This magazine is a little gem. I look forward to every issue. Indeed, how could anyone say that is not a cat in the painting! This article was great fun to read. The journal sounds wonderful! Thanks, Heather! I had never heard of this place, and it looks just brilliant from the website. They have a "Garden" section where they sell the seeds of Mandan squash, Seneca soup beans, and blue corn. Not only are these really valuable heritage plants, but they come with a story of when and where the whites first got them from the Indians. This rocks!